One of the most significant enhancements to the site is improved design and performance for mobile devices and tablets. 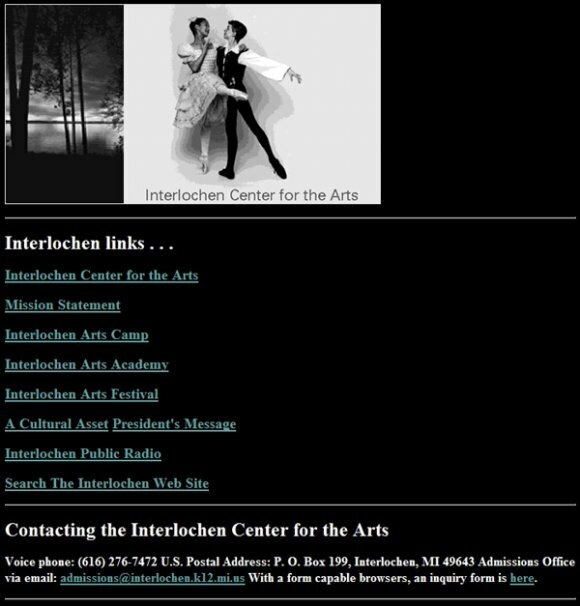 More than 20 percent of the traffic to Interlochen’s website now comes from mobile devices and that number is expected to increase. The fully scalable and responsive design of the new site looks great and functions wonderfully whether you are visiting from a desktop computer, a tablet or a smartphone. 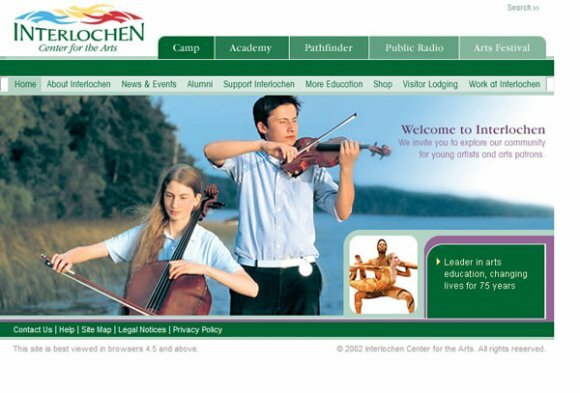 The refreshed design also includes seamless and more prominent multimedia display including YouTube and Vimeo videos, SoundCloud audio, and "swipeable" photo galleries, creating more opportunities to share the sights and sounds of Interlochen. 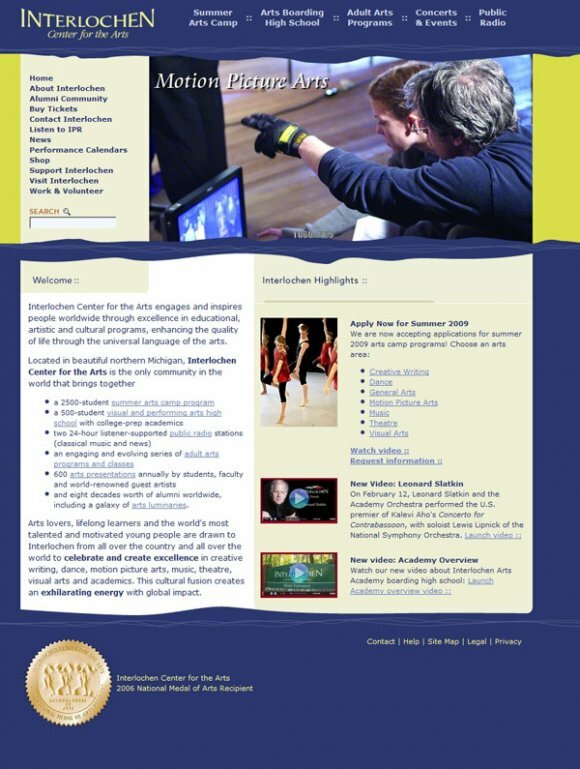 New students exploring opportunities at Interlochen will appreciate the improved "Program Finder," which enables prospective students of all ages to find relevant programs with just a couple of clicks, right from the homepage. The new site is built on the latest version of the open-source Drupal content management system and will incorporate a wide range of improvements that will help faculty and staff update content. 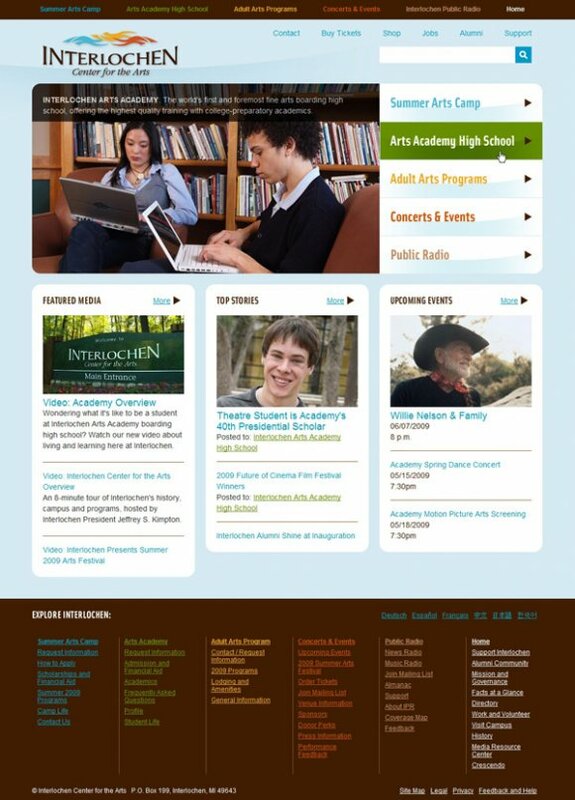 In advance of the 2013 Summer Arts Festival lineup announcement, Interlochen launched a new Ticketing website. Built on the Patron Manager platform, the new site features an improved design, the ability to support greater traffic loads, and provides patrons with improved functionality — including the ability to select their own seats for concerts.